It's forged to look its best when things get ugly. When you're in a combat situation in dark, CQB environments you don't want something pretty. You want something you can draw fast and use instinctively. 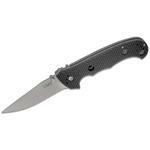 Enter the "Clever Girl" fixed blade tactical knife with an upswept blade. As part of the "Forged By War" program, Austin McGlaun of Columbus, Georgia, designed the Clever Girl. 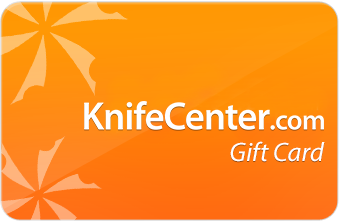 It aligns with his philosophy that a knife is more than a tool. It's a psychological deterrent that is very different from a gun. It tells your attacker very quickly that you mean business. The Clever Girl was created so you can grab it, use it if necessary, and then go home to your family. 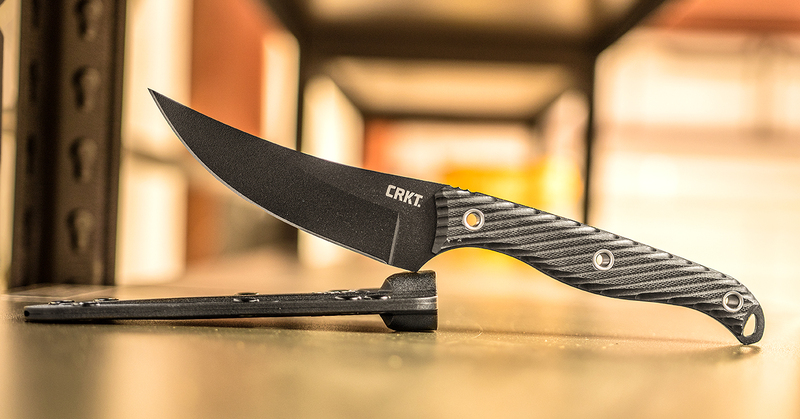 With a black, powder coated upswept blade, this is a knife that is all about function. 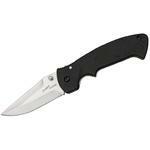 Just grab hold of the tough injection molded glass - reinforced nylon handle. 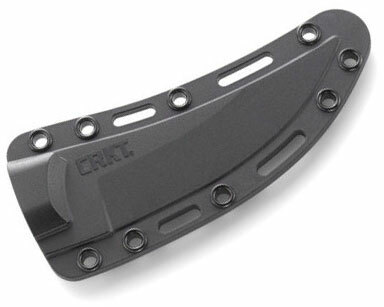 Draw it from a sheath that's MOLLE compatible for multiple carry options. Then let your body go on autopilot. Good for its intended perpose. 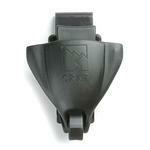 Overall design is perfect for its intended purpose, self defense. Weight and balance is good. 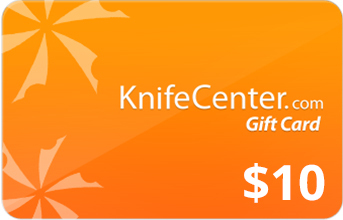 The knife carries well and is suitable for advanced fighting styles. This is a single purpose tool, fighting, not good for much else. 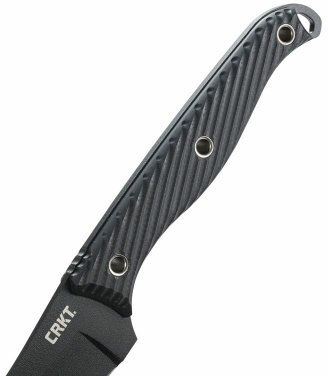 As an EDC, the blade material is too soft. The edge roles very easily. I put a convex edge on it and I'm hoping for the best, but the blade needs a better harder steel. The handle is very small for proper gripping in a fight. I wrapped a single twist of para chord around the entire handle and dramatically changed the dynamics of the knife. It's a great tool with the changes I made; fatter handle with more grip, convex edge. A six or eight inch para chord loop threaded through the top holes in the sheath make for a great carry package; sheath inside the pants, para chord looped around the belt. Very comfortable carry. A great knife to be used against the bad boys. 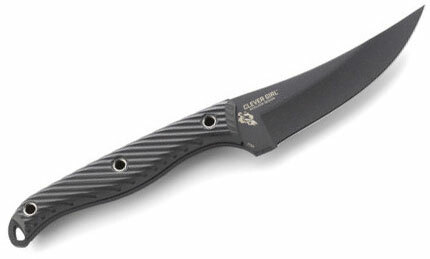 I carry this knife in my front pocket all day.There's one more CG in the streets of Mexico now. I was in contact with Austin McGlaun via facebook groups for some info about this knife, what a great person!! 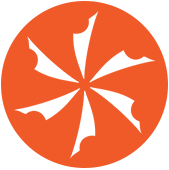 I am amending an earlier review. When I first recieved the knife it appeared the knife was unable to be extracted from the sheath. I and a couple friends tried to draw it and were perplexed by the difficult time we were having. We tried wearing the blade on a belt and pulling to effect a draw and were having some difficulty. It requires some pressure applied along the junction of the sheath with the spine of the knife. I'm now having greater ease in drawing the blade in a standard forward grip. I'm not sure this allows a draw from the Ice Pick/Reverse grip position or not . The sheath definitely has good retention. Aside from this , the blade is wonderful. 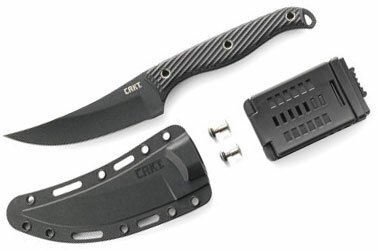 The handle is quite nice, the blade is nice and sharp and the sheath comes with a very nice TekLok accessory. It moves well in hand and transfers nicely....it is a "Silat Knife" for sure. 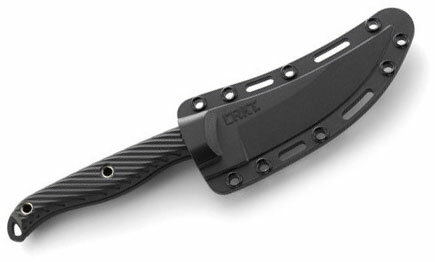 I do like that it is "Texas Legal"( 5.5 inches or under) regarding blade length, but is still large and hefty enough to be a great self defense tool, if needed. 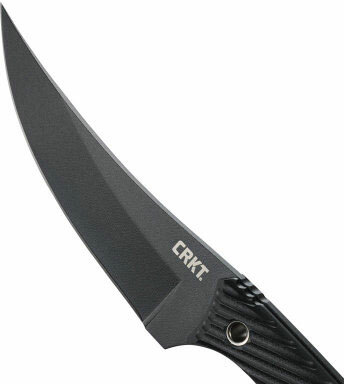 Hey, I wanted to share "Columbia River CRKT 2709 Clever Girl Fixed 4.6 inch SK5 Black Blade, G10 Handles, Glass Reinforced Nylon Sheath" with you from KnifeCenter.